What we wear is one way to express who we are, our human identity. Why aren’t we all respected equally? As a Muslim American woman wearing a head scarf, Farhana sometimes gets the looks and comments. But she handles people with understanding, because she knows Islamophobia is based on fear and ignorance. 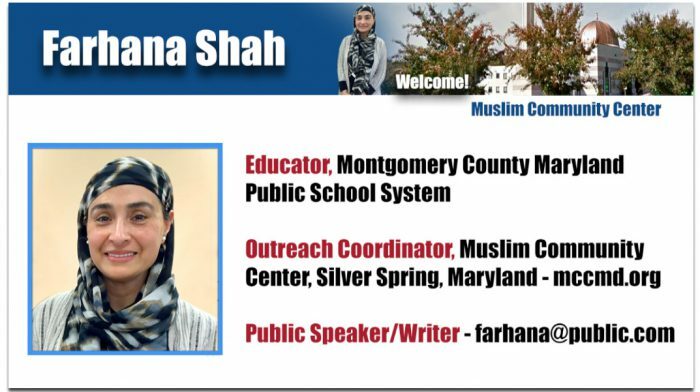 As a public-school educator and the Public Relations Committee Chair at the Muslim Community Center in Silver Spring, Maryland, Farhana shows people that we are 99.9% the same. Farhana also shares her personal reasons for wearing a head scarf. No one forced her. It was her own choice, her decision alone. Sadly, many Muslim women, out of fear, have stopped wearing head scarves. She also addresses a common belief that Muslim women are oppressed. She explains that any unequal treatment stems from cultural norms within countries and families and a lack of education about women’s rights – not from Islam. In fact, Islam gives women rights. Islam is very progressive. How do we reduce Islamophobia and the fear of Muslims? She answers this huge question with a simple answer. In fact, it’s exactly how a warm friendship started between Farhana and Michelle. The two women share the same American values and continue working together to join Muslims and non-Muslims in friendship and harmony. Attend an event and reach out! 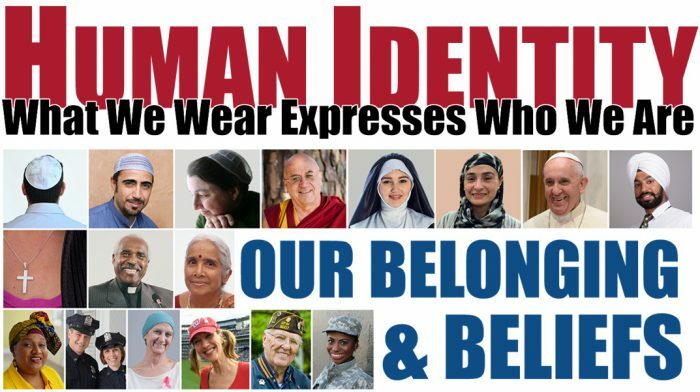 People wear head scarves, hats, robes, necklaces and other items to express who they are. This helps reflect our belonging and beliefs. If you want to invite Farhana to speak to your group, you will be pleased you did so. Her gracious style and affability will charm and connect with anyone.